The second Democratic primary debate of the year averaged 8.5 million viewers on Saturday night, far fewer than the audience of the first debate, according to preliminary Nielsen ratings. The debate was the most-watched show of the night on broadcast television, topping the college football games that aired on ABC and Fox. But the early TV ratings confirm what many observers had expected: The debate's Saturday night time slot hurt total viewership. 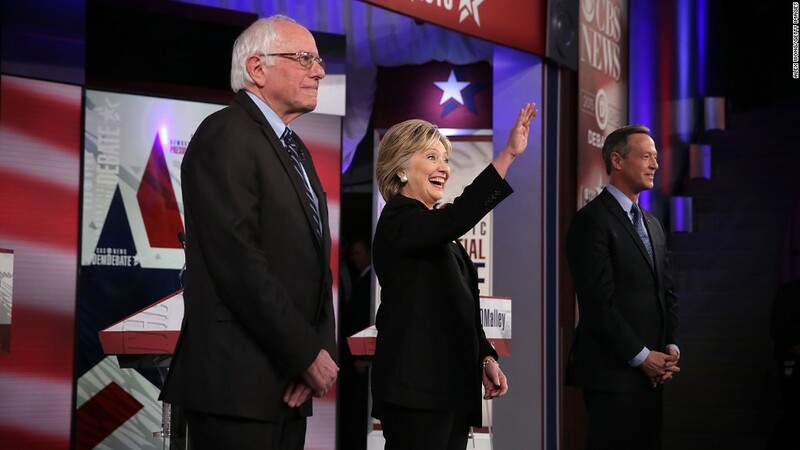 CNN's Democratic debate averaged 15.3 million viewers on a Tuesday night in October. That debate faced stiff TV competition -- including a National League championship baseball game -- but was marketed more extensively. CNN's pre-debate coverage spanned several days. There seemed to be a lot less awareness of the CBS debate, even though it was promoted on the network's morning and evening newscasts. CBS executives had low ratings expectations due in part to the Saturday night time slot. Saturday's debate was the first for either party to be televised by a broadcast network this election cycle. Historically, broadcasters have had an edge over cable channels like CNN. But the cablers have garnered record-breaking audiences for debates this season, fueled in part by interest in Donald Trump's candidacy. CBS's viewership for the Democratic debate is a third of the total viewership for Fox and CNN's Republican debates in August and September. The debate was also live streamed on CBS's website; no online data was immediately available. According to the early Nielsen TV data, the debate peaked between 10 and 10:30 pm. While CBS was #1 for the night in total viewers, ABC's football coverage was #1 among 18- to 49-year-olds, the key advertising demographic.